From everyday errands to cross-country road trips, Toyota RAV4 is ready to take on adventure. A spacious interior, fold-down rear seats, and advanced safety features make hitting the road in the RAV4 a breeze. Available all-wheel drive lets you conquer even the harshest weather conditions. Long-lasting quality comes standard on Toyota RAV4, with over 90% of RAV4 vehicles sold in the last 10 years still on the road today*. 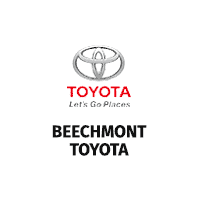 Know that Toyota has you covered with the Toyota Certified Used Vehicles program. Following a rigorous 160-point inspection, Certified Used Vehicles include a 12-month/12,000-mile Limited Comprehensive Warranty and a 7-year/100,000-mile Limited Powertrain Warranty**. Browse current options and find the RAV4 that is perfect for you. *Based on IHS Automotive: Polk U.S. Vehicles in Operation statistics MY 2005-2015 as of July 2015. 4WD/AWD, SUNROOF/MOONROOF, DISPLAY AUDIO, USB PORT, BLUETOOTH, BACKUP CAMERA, PUSH BUTTON START, ABS brakes, Active Cruise Control, Alloy wheels, Electronic Stability Control, Front dual zone A/C, Heated door mirrors, Illuminated entry, Low tire pressure warning, Power moonroof, Remote keyless entry, Traction control. 22/28 City/Highway MPGOdometer is 673 miles below market average! 4WD/AWD, SUNROOF/MOONROOF, DISPLAY AUDIO, USB PORT, BLUETOOTH, BACKUP CAMERA, PUSH BUTTON START. 22/28 City/Highway MPGOdometer is 532 miles below market average! 4WD/AWD, SUNROOF/MOONROOF, LIFETIME WARRANTY, DISPLAY AUDIO, USB PORT, BLUETOOTH, BACKUP CAMERA, PUSH BUTTON START. 22/28 City/Highway MPGOdometer is 998 miles below market average! 4WD/AWD, SUNROOF/MOONROOF, DISPLAY AUDIO, USB PORT, BLUETOOTH, BACKUP CAMERA, PUSH BUTTON START. 22/28 City/Highway MPGOdometer is 3632 miles below market average! 4WD/AWD, SUNROOF/MOONROOF, DISPLAY AUDIO, USB PORT, BLUETOOTH, BACKUP CAMERA, PUSH BUTTON START, ABS brakes, Active Cruise Control, Alloy wheels, Electronic Stability Control, Front dual zone A/C, Heated door mirrors, Illuminated entry, Low tire pressure warning, Power moonroof, Remote keyless entry, Traction control. 22/28 City/Highway MPGOdometer is 3697 miles below market average!